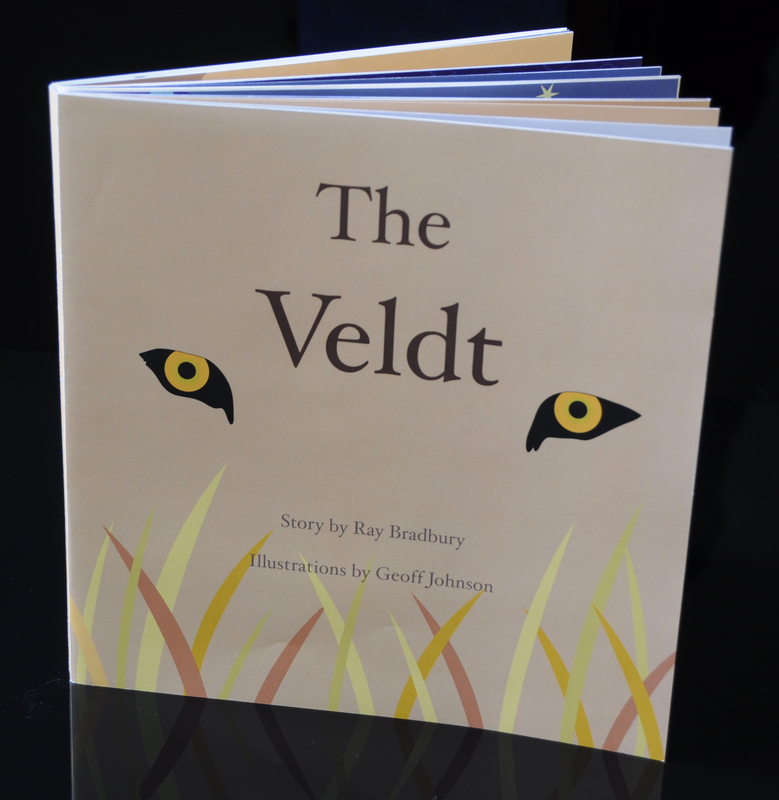 I illustrated the short story “The Veldt” by Ray Bradbury in an intermediate graphic design course. 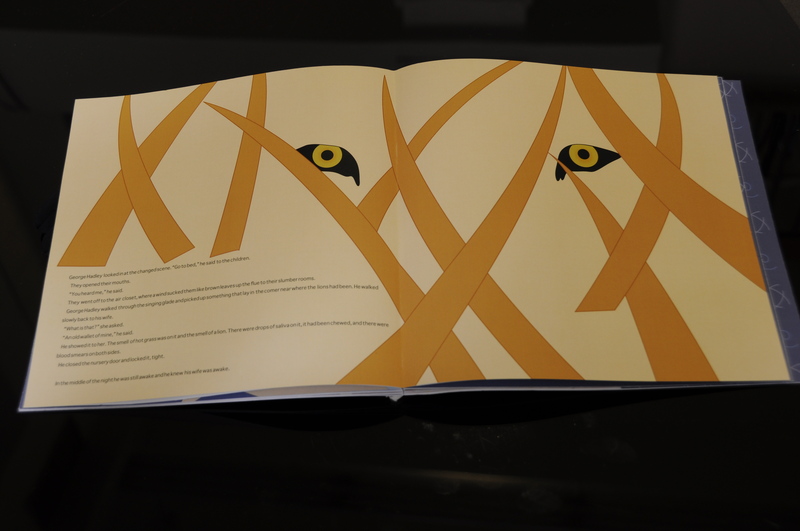 There are a total of 13 spreads that I created using Adobe Illustrator, Photoshop and InDesign. 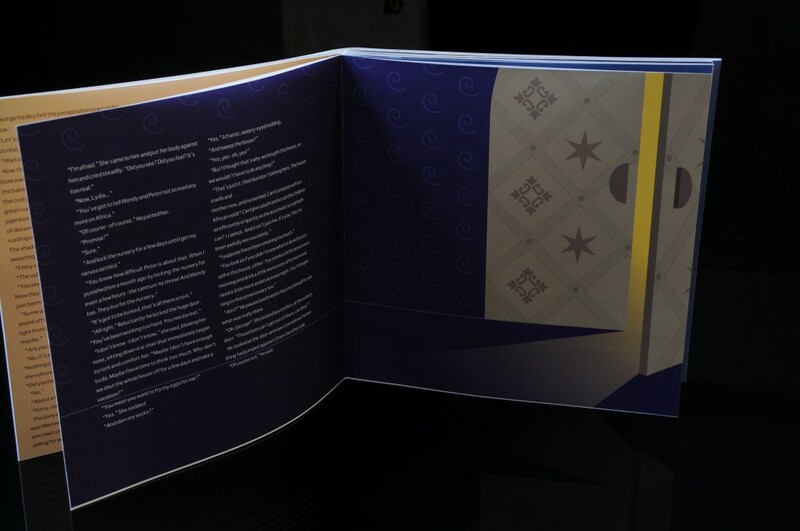 I then printed each spread and bound them together to create the book shown. The short story is set in a future where a futuristic device is able to create realistic environments inside a home. As the story progresses it becomes clear the the line between real and imaginary are starting to blur. 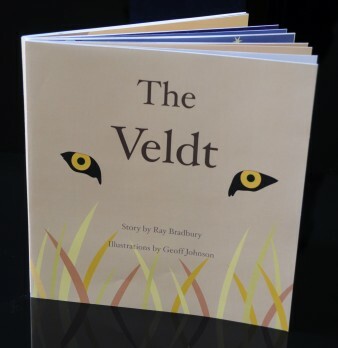 A fantastic reminder that we can easily become enslaved by the technology we create, “The Veldt” is a timeless classic. I selected a dark color pallet and chose to leave the illustrations sterile so as to evoke a creepy sensation as you are reading. You can download the PDF here!